Speakers John SIlvanus Wilson Jr.
John Silvanus Wilson, Jr. is the 11th president of Morehouse College. 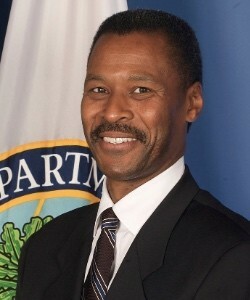 Before returning to lead his alma mater in 2013, Wilson served in posts in the United States Department of Education, at George Washington University and the Massachusetts Institute of Technology. Dr. Wilson holds a Doctorate in Education (1985) from University of Harvard. He concentrated his doctoral studies on education administration, planning and social policy. In 2009, President Barack Obama named Wilson to head the White House Initiative on Historically Black Colleges and Universities. Here, beginning in 2009, he served as a liaison between these higher education institutions and the federal government’s many agencies.